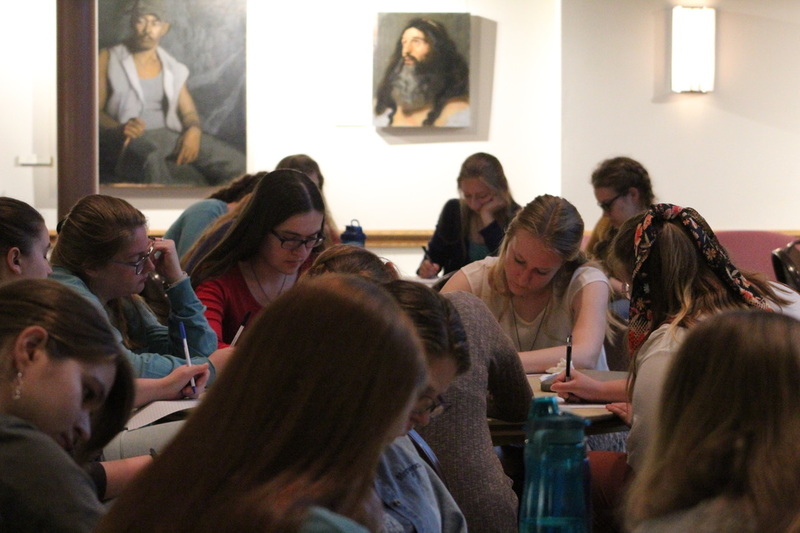 Over a dozen devoted ladies discovered their gifts and passions and created mission statements for their lives during Women’s Ministry at 7:30 p.m. on Wednesday, April 10, in the Gentile Gallery. 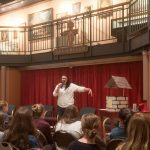 In a talk titled “Unique Talents, Unique Mission,” sophomore Grace York utilized her gifts in ministry to guide the attendees in discovering their unique gifts. York told the ladies that they all have personal missions. Everyone has a God-given mission, and that mission uses each person’s gifts to serve him, York said. York went on to explain the struggle with belittling a person’s own mission and gifts, especially when one comes to Franciscan University of Steubenville. 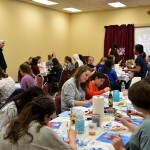 “(I think), ‘I’m doing good things for God!’ then I come to Franciscan and it’s like … ‘everyone is doing things like this!’ It’s easy to feel average,” she said. She explained that realizing that other people have different missions is important for the faithful to be happy and to serve God. The attendees were led to create mission statements that encompassed their gifts and passions. After doing so, junior Elizabeth Houser explained the importance of focusing on the good that others do without falling into comparison. “In our culture, especially as women, it’s very easy to just look at what we’re bad at and compare ourselves to others. … It’s a really good opportunity to look at all the things we’re good at and to affirm each other in that,” she said. 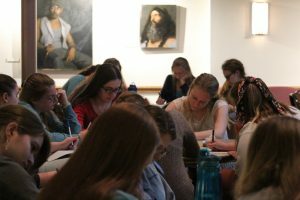 The final session of Women’s Ministry’s Abide Series will be at 7:30 p.m. on Wednesday, April 27, in the Gentile Gallery.